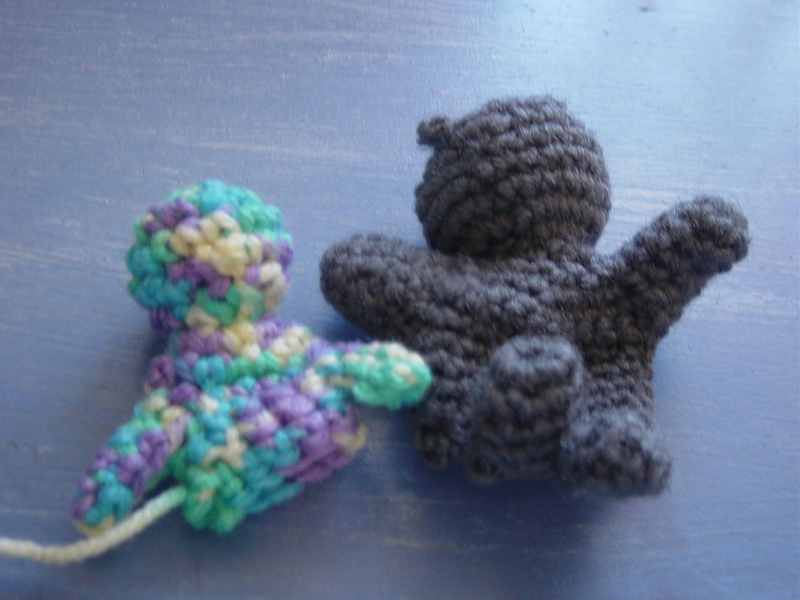 I've been wanting to try making a crochet toy for quite a while thinking it wouldn't be too hard, and I must say I'm pleased with my first set of tiny teddies. I didn't follow a pattern for these teddy bears, and it took me several failed attempts before I settled on a method to use. I had been trying to make the whole teddy in one piece, not wanting to cut, tie in and start new pieces. But in the end I settled on making the head, arms and body in one piece, then adding two legs and the ears afterwards. After I got the hang of it, I started adding the ears at the start while I was making the head. 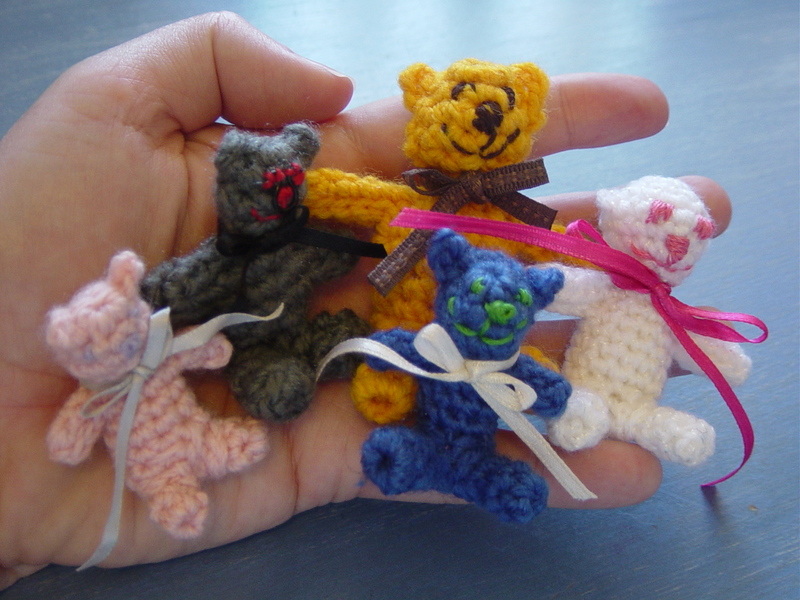 Although I did not follow anyone's pattern for these, I did look at some google images of crochet tiny teddies for inspiration. These were heaps fun to do and I'd like to make more. The brightly coloured embroidery thread I used for their faces were one of the purchases I made from the Lincraft store in the city on Monday. The ribbons are all recycled from packaging or cut off from clothing (those annoying ribbons you get inside clothes to help them hang nicely in the store but always manage to embarrassingly poke out when you wear them - I cut them off and recycle them). I think these tiny teddies are just so cute! They'll make great companions for my Barbie doll (you know, the one I have to practice making real clothes on! ), to sit with her on my new vintage cane doll furniture. oh hey, those there are cute teddies, let me know if you want me to make you some!! !